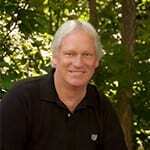 Dr. Loren Cordain is the world’s foremost authority on the evolutionary basis of diet and disease. Featured on Dateline NBC, the front page of the Wall Street Journal, and The New York Times, Dr. Cordain is widely acknowledged as one of the world’s leading experts on the natural human diet of our Stone Age ancestors. He is the author of more than 100 peer-reviewed scientific articles and abstracts, and his research into the health benefits of Stone Age Diets for contemporary people has appeared in the world’s top scientific journals including the American Journal of Clinical Nutrition, the British Journal of Nutrition, and the European Journal of Clinical Nutrition, among others. Dr. Loren Cordain’s popular book, The Paleo Diet, has been widely acclaimed in both the scientific and lay communities and was fully revised in 2010. The Paleo Diet Cookbook was published in 2010 and became an instant bestseller. His most recent book, The Paleo Answer, was released in December 2011, and represents a sequel to The Revised Paleo Diet. Dr. Cordain is the recipient of the Scholarly Excellence award at Colorado State University for his contributions into understanding optimal human nutrition. Dr. Cordain received his Ph.D. in Health from the University of Utah in 1981, his master’s in physical education from the University of Nevada-Reno in 1978, and his bachelor’s in health sciences from Pacific University in 1974. He was a professor in the Department of Health and Exercise Science at Colorado State University from 1982 – 2013.